Ever heard about the OCR technology? Do you think editing PDF is tedious? 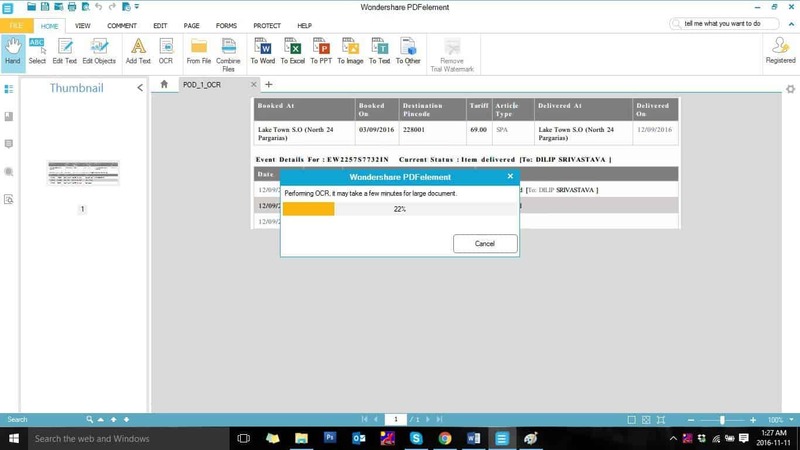 Want to create a PDF file on your windows machine? Have some lengthy PDF forms to fill? 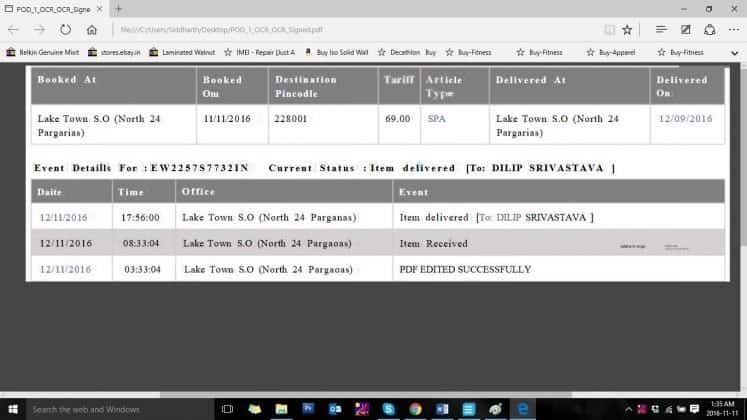 Are you still relying on online tools, which lack in features and put your files at risk (of being stolen or compromised), to complete these tasks. Enough of the hard work, let’s do some smart work. I present you with “The Best Tool” to edit, create or manage your PDF OCR free. Just like other PDF Editor, Wondershare PDFelement has got the most powerful Optical Character Recognition aka OCR feature to give you immense control over your PDF Files. OCR or Optical Character Recognition feature helps us in editing the scanned PDF files. 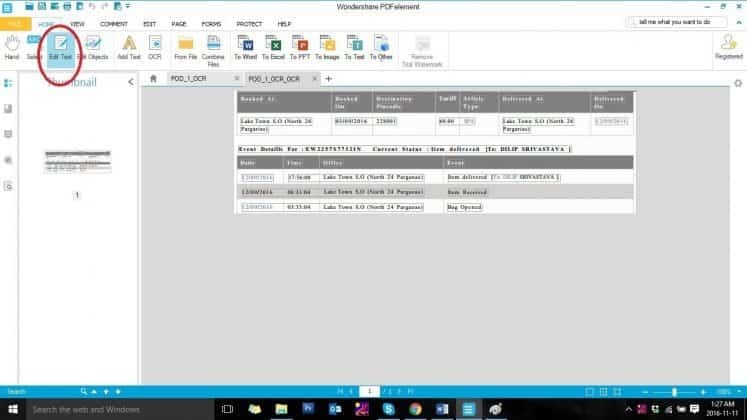 In the scanned PDF files you can search for the content and edit them, where as other PDF editors generally treat scanned PDF’s elements as images, thus limiting the scope of editing. 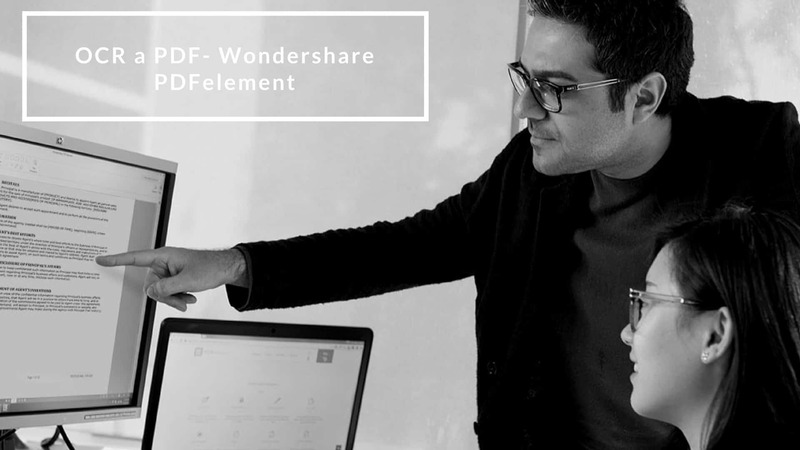 Wondershare PDFelement with OCR feature digitizes the documents thus saving the extra pain of typing the scanned document, to edit, all over again. For any PDF file which is in some other global language apart from English, OCR technology helps in reading the file and converting its elements to digital format to make it editable. Apart from this, we can also convert scanned PDF files to other document formats using OCR in Wondershare PDFelement. The most useful feature of OCR is to make a scanned PDF file editable. Each character of a PDF can be edited using OCR, which otherwise, isn’t possible using a non OCR PDF editor. Along with these features the other powerful features of OCR a PDF includes multiple languages, high quality exported file and character recognition automatically. 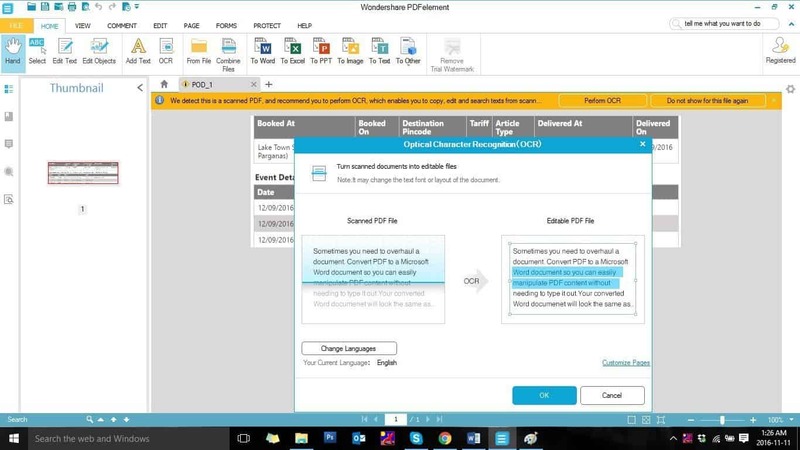 OCR makes Wondershare PDFelement the best “PDF OCR Free” editing tool. 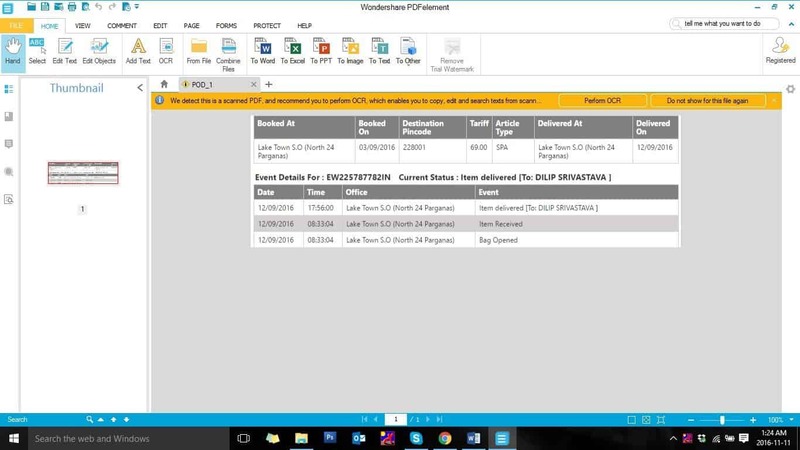 The key features of Wondershare PDFelement is Edit, Convert & Create a PDF, OCR and Forms filling. Using Wondershare PDFelement PDF with OCR technology we can edit texts, change pictures, change font sizes, add pages & links, modify colors, etc. It also converts PDF files to different document formats, like word, excel, HTML, Rich Text, images, etc. With this feature you can also create PDF from scratch or use existing document or images. Wondershare PDFelement PDF with OCR also helps you in protecting a PDF file with password and for editing and creating and filling PDF forms.